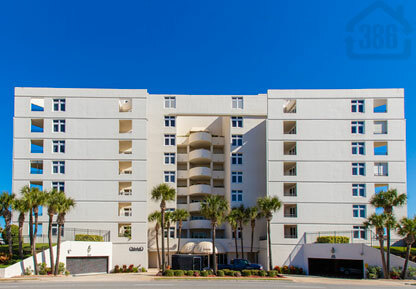 Tidesfall in Ormond Beach is an opulent oceanfront condo option that offers great affordability and value. Enjoy open floor plans here with awe-inspiring views of the ocean and river from your large balcony. Relax in comfort from the large bedrooms in the Tidesfall, with some units featuring three bedrooms for you and your family to enjoy. With the six month rental policy you can enjoy resort-like living without the hustle and bustle of the busier Daytona area condos. Tidesfall is still convenient to great shopping and dining options making it an excellent option for your beachfront dream. Call us today to explore Tidesfall.